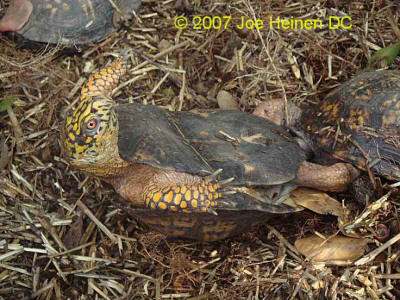 Mating takes place throughout the spring and summer. 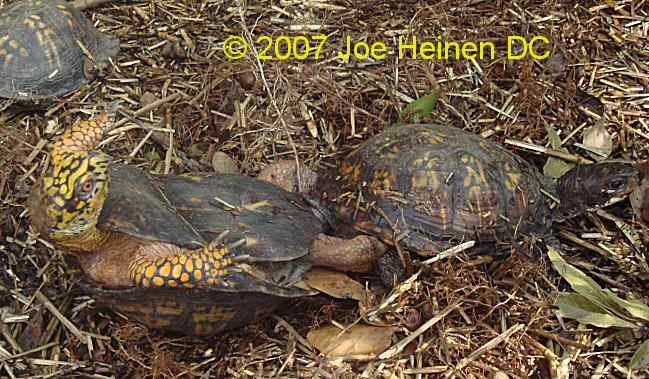 Mine are found mating more frequently in the spring, often right after a thunder storm. 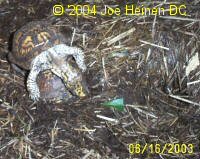 I frequently find them mating in the water dish. Box turtle males can be very aggressive with their mating. When the male mounts the female he often will try to bite her head and front legs. 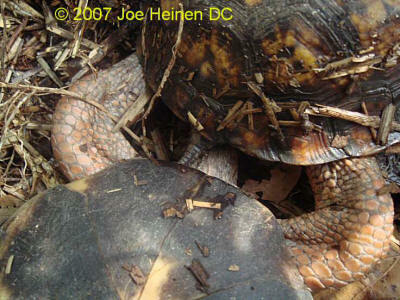 The male locks his feet inside the females shell and begins copulating. At this point he flips over in his back as seen in this picture. They stay coupled for up to 3 hours. The female will often drag the male around. 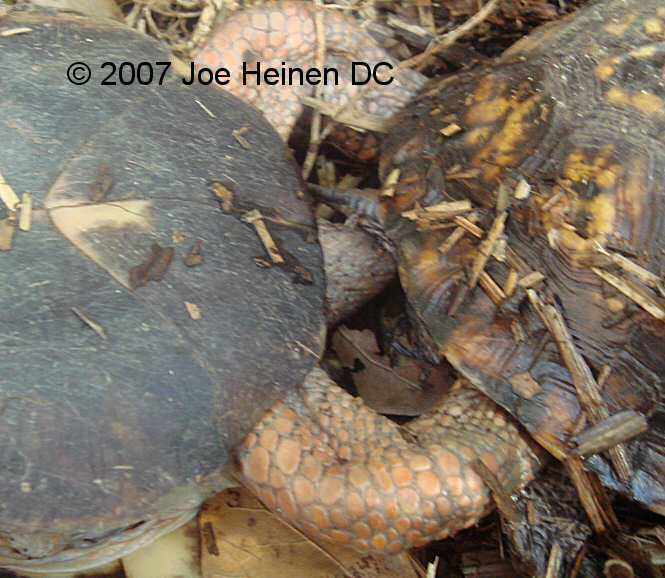 For many new keepers, it appears the male is being hurt. 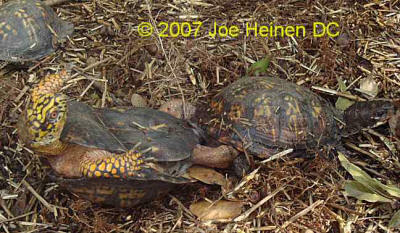 Afterwards the male walks off as if nothing happened.